Limited pairs releasing this week. Sometimes, finding the right sneaker colorway doesn't require an elaborate concept. "Oreo," a simple white and black look that's found success on shoes like the Flyknit Racer, now lands on the Nike Kobe 11 Elite Low. Black is featured on the tongue, lining and Swooshes, while the outsole is fully speckled. 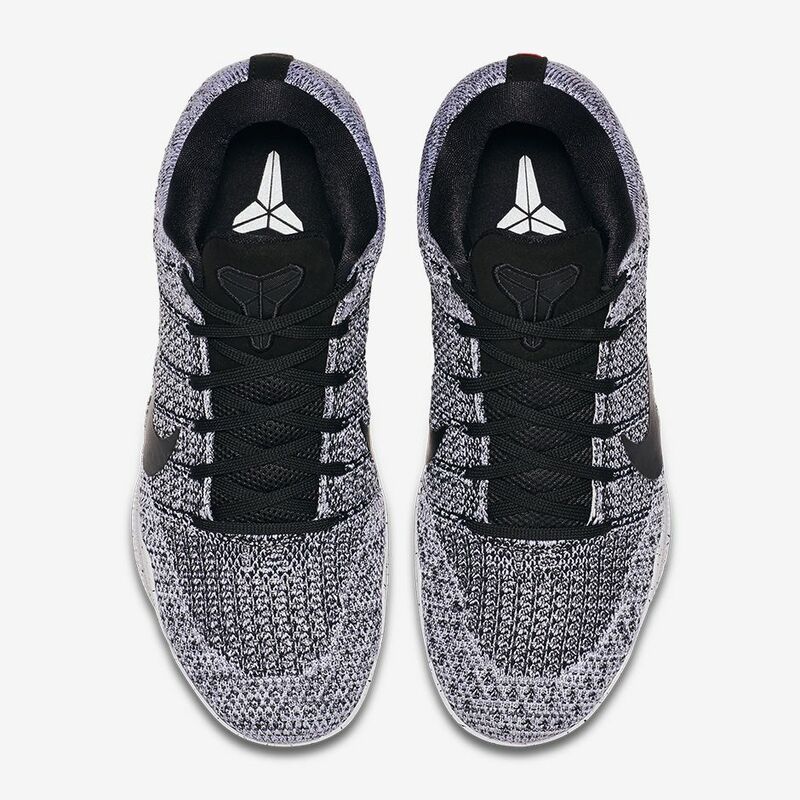 The "Oreo" Kobe 11 Elite Low will release next Friday, Oct. 28 for $200 exclusively on the SNKRS app. Nike Kobe 10 Elite Low "Oreo"